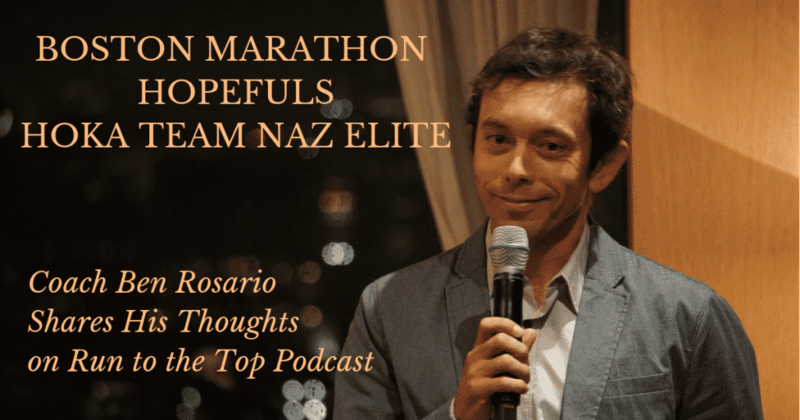 On today’s episode we are talking with Ben Rosario coach of the Hoka NAZ Elite Team in Flagstaff, Arizona. We discuss the upcoming 2019 Boston Marathon and who Ben believes are the top contenders, from his own team and the overall field. 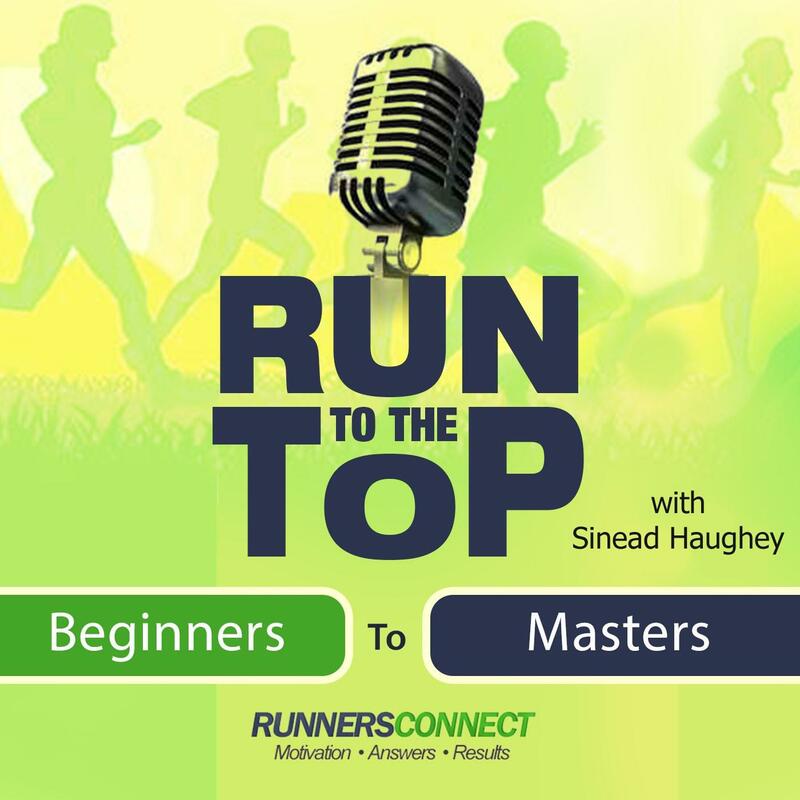 He shares with us how he finds and works with his elite athletes and how he approaches training and competitions. Ben Rosario was a Division II All American at Truman State University, before landing a spot on the Hansons-Brooks Distance Project team in 2003. There he became the youngest qualifier for the 2004 Olympic Trials in the Marathon. In 2005 Ben finished second at the U.S. Marathon Championships at the Twin Cities Marathon and ended his competitive career with personal bests of 4:03 in the mile and 2:18 in the marathon. 3:26 What got you into coaching and what were some of your early successes in St. Louis? 5:37 What is your history with the Hoka NAZ Elites and what successes have you had? 8:40 Who is on the current team and how many will be running Boston this year? 11:02 What emphasis do you put on placing vs. finishing time? 14:22 How far out do you plan athletes’ races and how do you strategize races and race selection? 18:02 What runners do you think could win Boston this year and who else might be competition for your athletes? 20:03 What’s your weather prediction for Boston? 20:33 What are the training conditions for your athletes and how do they benefit your athletes? 22:13 What do you see for female contenders in Boston this year? 23:15 Who do you like for international runners in Boston? 26:05 How do athletes get onto your Hoka NAZ team? 28:18 How and when does recruiting take place for your team? 30:20 What’s the breakdown of males and females on your team currently? 31:15 How are contracts structured for duration and what determines length of contract? 33:22 What do you think is the ideal age for marathoners and what other distances do you coach? 36:29 Do women peak later or earlier for the marathon? 38:14 Which of your athletes are heading to the 2020 Olympic marathon trials and what are your hopes for them? 41:52 What can you tell us about your book: Inside A Marathon? 43:54 Where can we get your book? 44:56 What else would you like to share with us? Favorite running book(s), video or resource?